We are haunted during the holidays by things done and left undone, but especially by the Ghost of Christmas Past. You can hear that melancholy and nostalgia in many of our best-known Christmas songs, from Sam Smith's old-fashioned new version of "Have Yourself a Merry Little Christmas" to "I'll be Home for Christmas" to "Merry Christmas Darling." Why, in this season of joy, are we so often brought to the point of tears? Well partly it's because the past, as Mr. Faulkner said, isn't past. It's always present, swirling around us, reminding us of who we were, are, and ought to be (and maybe where we ought to be, and with whom). Those ghosts may sadden us or frighten us, but critics who work within a literary field called Hauntology argue that in stories from The Iliad to Hamlet to The Sixth Sense, these ghosts of longing may haunt us from our past, but they simultaneously beckon us forward toward our future. A good haunting may, in fact, be just the thing we require to achieve our best destiny, to become the people we are called to become. And what better time than the holidays to face those ghosts head-on and amend our lives? This truth is powerfully illustrated by a such a reading of Charles Dickens's A Christmas Carol, the classic holiday tale of hauntings that serve as a catalyst to effect change. Ebenezer Scrooge is a particularly joyless miser, neither enjoying his wealth not permitting joy in his vicinity, and his name has deservedly become a descriptor for avarice. But like all of us, Scrooge has a backstory that explains some things about his hateful state -- and that could prompt him into new life if the ghosts are heeded. Early in the story, he appears irredeemable. Scrooge answers his nephew's proffered greeting of "Merry Christmas" with the desire that "every idiot who goes about with 'Merry Christmas' on his lips, should be boiled with his own pudding, and buried with a stake of holly through his heart." When good-hearted gentlemen come collecting for the needy poor, Scrooge asks why he should give, seeing that there are workhouses and prisons available (Dickens, who knew the wretched existence of those in debtor's prison, damns Scrooge in this offhand comment). Finally, he responds to his faithful employee Bob Cratchit's request for a day off to celebrate Christmas as though Cratchit is committing some mortal sin: "'A poor excuse for picking a man's pocket every twenty-fifth of December!' said Scrooge, buttoning his great-coat to the chin. 'But I suppose you must have the whole day. Be here all the earlier next morning.'" Scrooge is truly in a parlous state. In his nephew's short speech to Scrooge, Dickens frames why Christmas matters and what Scrooge has forgotten: that Christmas is "the only time I know of, in the long calendar of the year, when men and women seem by one consent to open their shut-up hearts freely, and to think of people below them as if they really were fellow-passengers to the grave, and not another race of creatures bound on other journeys." But even this heartfelt analysis is insufficient. If Scrooge is to ever open his shut-up heart, rediscover some essential goodness, and share that good with others, he requires intervention, and clearly nothing in his immediate surroundings will prompt that change. No; Scrooge needs a good haunting if he is to be changed in any substantial way. Not that Scrooge accepts this at first; he asks the ghost of his former partner, Jacob Marley, "Why do spirits walk the earth, and why do they come to me?" But the fearful apparitions who come to Scrooge on Christmas Eve haunt Scrooge for a reason. 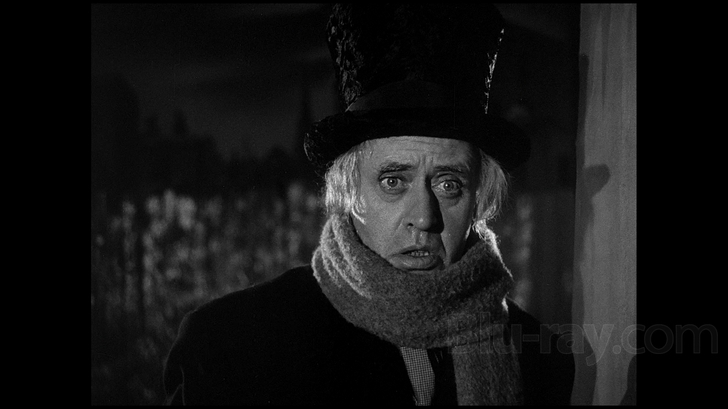 The Ghost of Jacob Marley appears wearing the chains he has forged in life, and warns him that there is yet a chance to escape that same fate: during the course of the night, Scrooge will be haunted by three spirits (the Ghosts of Christmas Past, Christmas Present, and Christmas Yet to Come). Although naturally Scrooge would prefer not to undergo this haunting, Marley is adamant: "'Without their visits,' said the Ghost, 'you cannot hope to shun the path I tread.'" He dressed himself 'all in his best,' and at last got out into the streets. The people were by this time pouring forth, as he had seen them with the Ghost of Christmas Present; and walking with his hands behind him, Scrooge regarded every one with a delighted smile. He looked so irresistibly pleasant, in a word, that three or four good-humoured fellows said, "Good morning, sir! A merry Christmas to you!" And Scrooge said often afterwards, that of all the blithe sounds he had ever heard, those were the blithest in his ears. The haunting has been a success; Scrooge's transformation is complete. And if we pay heed to our own particular ghosts, maybe we too could be haunted into something better this holiday season.